Yes, that is useful, and yes, there is a difference. 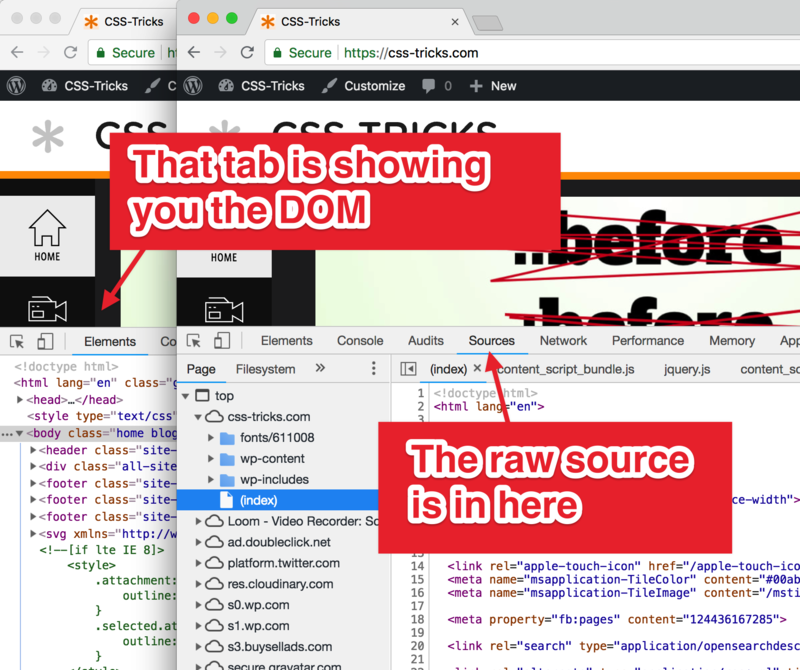 But just because you are looking at DevTools doesn't mean the DOM is the only thing you can see. 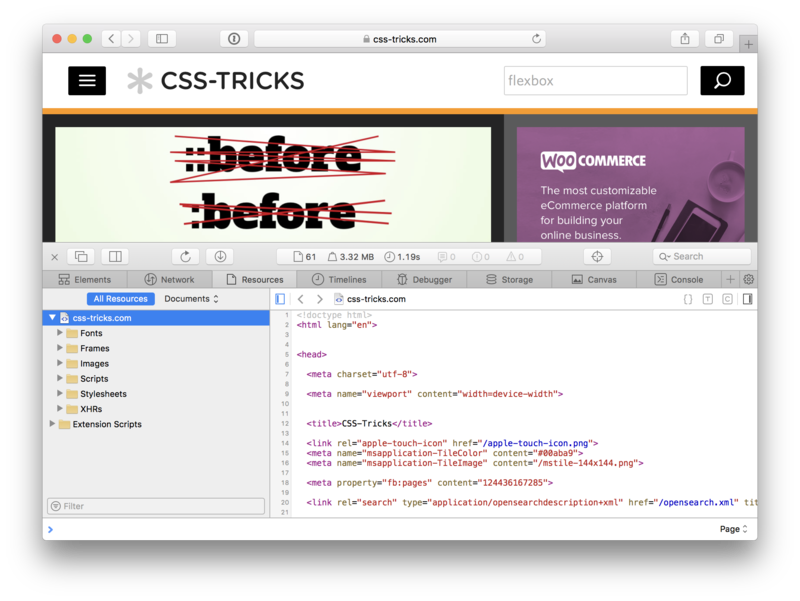 There is also a Network tab in DevTools for every browser. That's where you find a way to look at the document. So, if your concern about losing View Source is that you'd have no possible way to see the document instead of just the DOM, that's just not true. You can rest assured that you have the same affordance in DevTools. If your concern is that it's handier to see the source as a full-window tab with an easy keyboard shortcut, then sure, OK, that's a reasonable argument to make. I definitely find it most useful as a standalone full-page feature as implemented in Chrome and Firefox. Safari’s implementation is to always show the resource in the developer tools, even if you use the global View Source hotkey, and while it is still useful, I really miss the large standalone view. 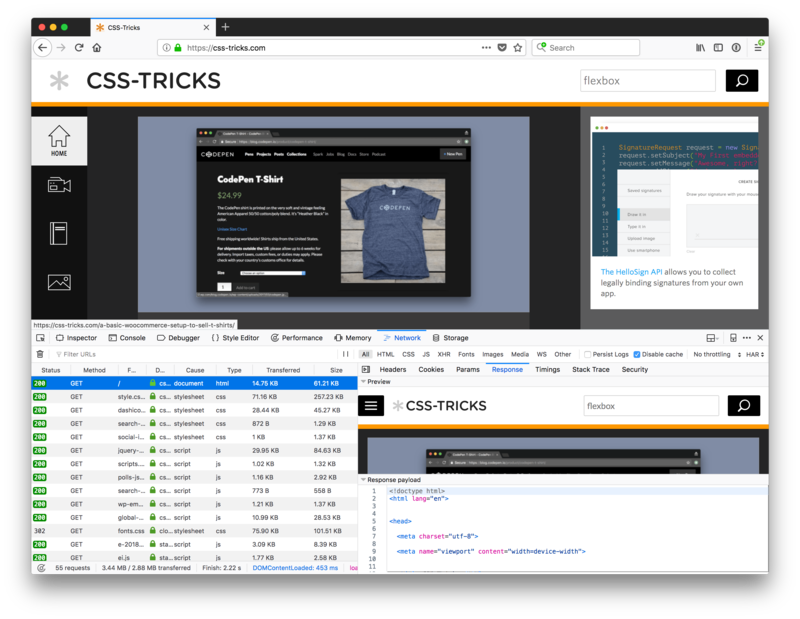 It’s particularly useful for things like reloading a page without all of it’s assets loading again, directly from the view-source tab, to see markup changes without requiring a complete refresh and re-initialization of the dev tools. I’m much more worried about the state of web performance than I am about web education. Not sure show much faster human unreadable code would be knowing that the text would be gzipped or brotli’d (and responds well to compression) and would not view that as a source of any kind of perf bottle neck. Although I do also live in devtools, I prob unknowingly view source from time to time. This is also true for Firefox, but the tab is named “Debugger” > “Sources”. Would be nice to map “Ctrl + U” to this tab. But I am still missing the option to wrap long lines, both in Chrome & Firefox. There’s also the good old “Page Source” view in Firefox (Cmd+U) and Chrome (Cmd+Alt+U). At least in Firefox, HTML formatting errors are highlighted in red in that view.